Your gift certificate will be emailed to you to print out or to email to whomever you choose. 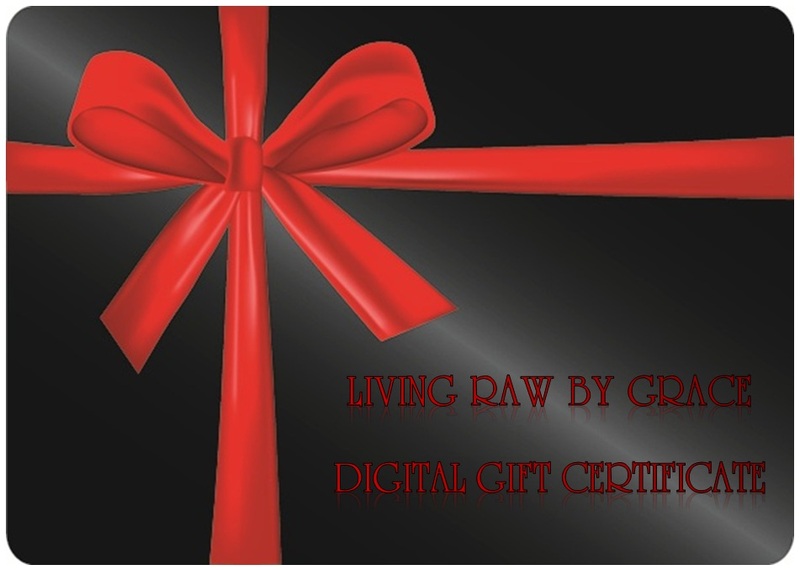 You will then use your coupon code from the gift certificate on any service or product Living Raw By Grace offers. Custom Gift Certificates are also available! Design your own and Haley will give you a great discount!